2016 guest artist of Dubai Government at Dubai Canvas at Jumeirah Beach Residence. 2015 painting of 40 traders from around Australia commissioned by AMEX to produce to promote Shop Small campaign and hang in Minister for Small Business’ office in Parliament House, Canberra. 2015 won first prize at the World Street Painting Festival in the Netherlands. 2014 Lead artist creating Australia’s largest 3D street painting at Chalk Urban Art Festival at Customs House forecourt, Sydney. 8 artists, 6 days, 350sqm. View timelapse footage. 2014 ‘Chalk: An Australian Perspective’ documentary about Jenny’s journey to Italy representing Australia screened on SBS1 – watch the trailer, or buy it here. 2012 Travelled to Italy representing Australia at the world’s most prestigious international pavement art competition ‘Incontro Nazionale dei Madonnari’, through her gold medal win (Semplici Division), she became Australia’s first Madonnara. 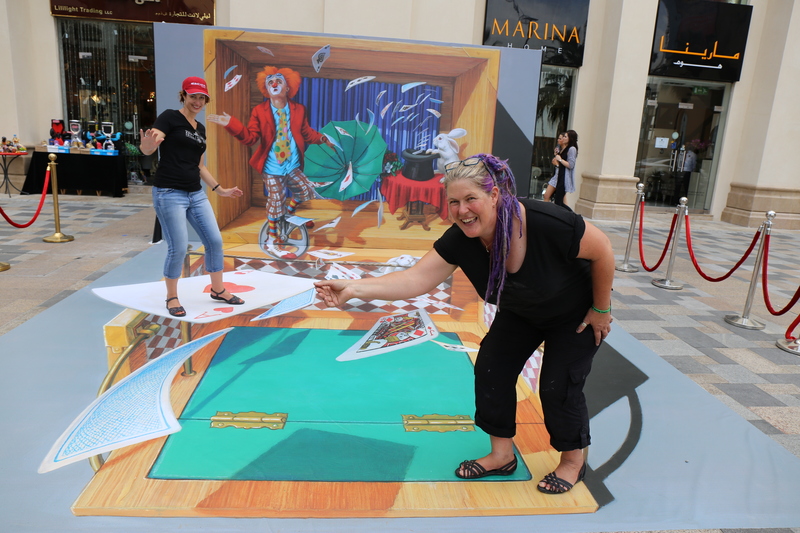 2012 Invited as guest artist to Sarasota Chalk Festival, Florida to work with Master Artist, Kurt Wenner, the inventor of 3D chalk art. 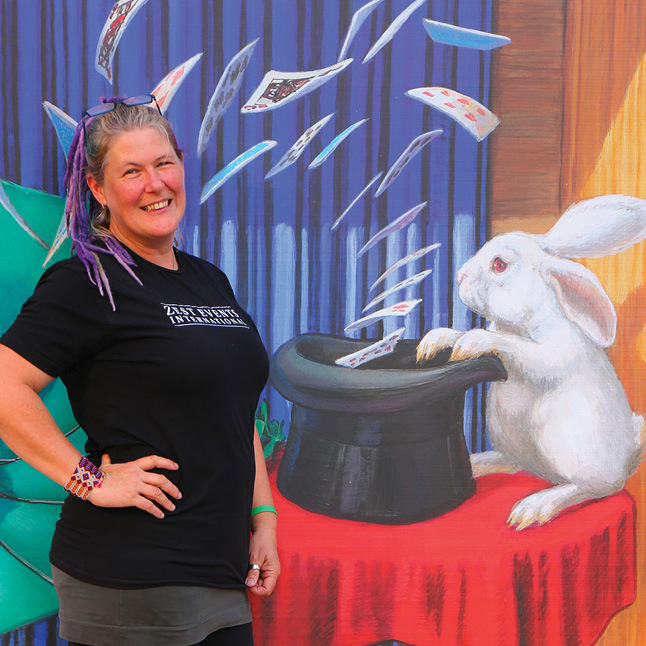 Other awards include: Chalk Urban Art Festival, Champion Pavement Artist 2011 & 2010 & People’s Choice Award 2010, Melbourne International Pavement Art Festival 1st Place 1993 & 1994. 1st Place Open Section, Geldern Pavement Art Competition, Germany 1991. Jenny’s client list includes: National Gallery of Australia, AMEX, Department of Premier & Cabinet VIC, Art Gallery of NSW, Art Gallery of WA, Walt Disney, Paramount Pictures, Caritas, Mazda, Ford, IKEA and many others. Jenny McCracken is exclusively managed by Zest Events International. For art and media enquiries contact Andi Mether.